We understand the complex nature of your disorder. Ayurhealthline is dedicated to only Vitiligo and Leucoderma sufferers and is serving since past 13 years in this field across world. Both Vitiligo & Leucoderma are established as more social disorders and having less medical importance as these are apparently visible on body and get prominent socially due to the physical sign and appearance only. Due to appearance over body these sometimes creates tremendous pressure on sufferers mind as he/she may start feeling embarrassed internally whether these being pointed by people outside or not. Handling this pressure positively with correct choice of treatment is the key to success behind complete vitiligo cure. Vitiligo is a disorder which has lot of myths added. One important truth has to be always remembered that "Vitiligo is non-infectious & non transmittable as it is a disorder with colour change only." Although sufferers are spread almost all over the world but percentage of sufferers are higher in Asia. Patients vary from various countries and include children, adolescents, adults (male & female) and elders also. 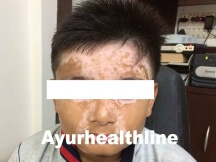 Ayurhealthline is a unique Global Ayurvedic Vitiligo Specialty clinic which is exclusively treating Vitiligo & Leucoderma patients only and has global online presence through which it provides support and treatment to lot of patients worldwide. At Ayurhealthline Dr. Ravish kamal, the chief Vitiligo Specialist and the founder concentrates its focus on treatment of white patches only through his developed unique herbal formulations. His reason based rectification theory based on ancient Ayurveda with modern research not only helps in faster management of Vitiligo but also helps in coverage and spread control of white spots. Being an immunological disorder Vitiligo requires proper treatment which can strengthen the disturbed immunity of a person. There are minute guide lines for vitiligo patients also related to their diet and lifestyle which is advised to patients under treatment for faster and effective treatment results. 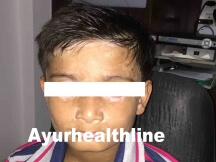 Ayurhealthline is a specialised Ayurvedic clinic which is exclusively treating only Vitiligo & Leucoderma patients worldwide since past 13 years. It is a "Vitiligo Specialty Clinic". It offers customized pure Herbal treatment of Vitiligo & Leucoderma through its unique Research based Herbal formulations. Especially at Ayurhealthline each and every patient is treated according to the most ancient system of medicine, "Ayurveda". The basic theory of Vitiligo treatment at Ayurhealthline is to treat a patient along with the disease without any side effects. What is the cause of vitiligo? Prime cause of vitiligo is considered as 'auto-immunity'. The state of autoimmunity occurs due to bad or odd food combinations like eating milk and non-vegetarian food items together and many more. There are lot of odd food examples available through primitive sayings also. Ayurveda calls it 'virudh-ahar-sewan'. Self destruction of pigment producing melanocyte cells causes colour loss which is termed "Vitiligo". Other reasons include harsh antibiotics uses, repeated Typhoid, stress etc. Vitiligo Treatment at Ayurhealthline is present globally and available through its specialised Anti Vitiligo kit. The treatment is completely Ayurvedic and customized. The Anti Vitiligo kit differs from patient to patient depending on their case history, skin sensitivity, patch area, spreading rate & location of patient. Vitiligo treatment here is done best through herbs and herbal formulation indigenously Researched and Developed by Dr. Ravish Kamal, B.A.M.S., DABUR Awarded. Difference between Vitiligo & Leucoderma? Vitiligo Specialty clinic of its kind. Successfully treating Vitiligo & Leucoderma patients since last 13 years Worldwide. 100% Ayurvedic Vitiligo Treatment for all ages. Special treatment program for small kids. Safe enough as Herbal. 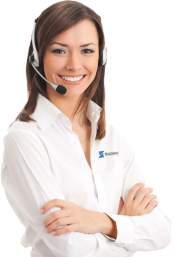 Vitiligo Online Consultation & Vitiligo specialist chat consultation available across World. More than 90% patients treated online across the World with high success rate of Vitiligo & Leucoderma treatment by Ayurveda. Please note that this website is not a product selling website. This website is a medium for patients to consult for authentic Ayurvedic (herbal) treatment of Vitiligo and Leucoderma in which a patient gets online or personal support from a qualified Govt. Registered B.A.M.S. doctor during treatment after filing free online consultation.